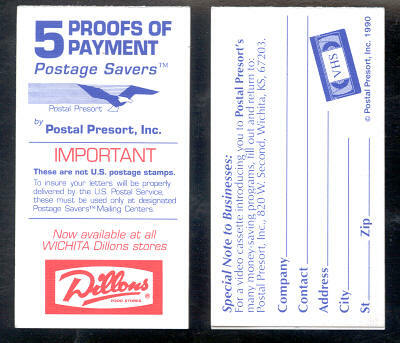 Located in Wichita Kansas, Postal Presort Inc issued a booklet of stamps for individuals to use in the mail service. Shown below is the front and back of a typical booklet. 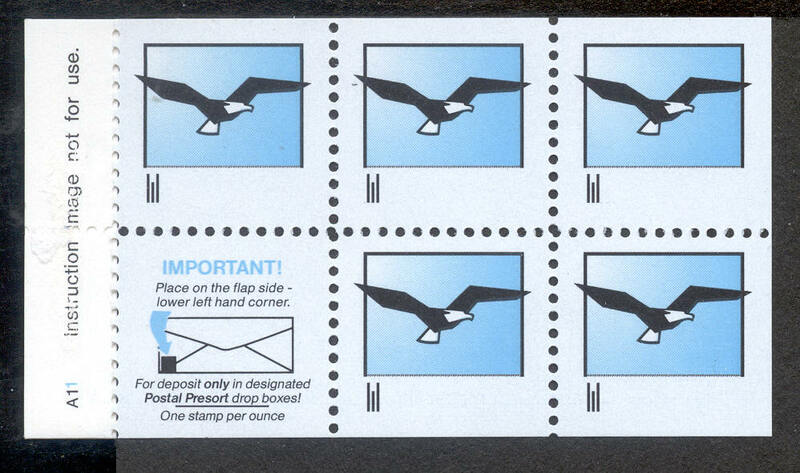 When opened, the booklet pane of five stamps and an instructional label is attached to the left side of the cover. When folded back, the booklet pane reverse is shown, as is the complete inside of the booklet cover. 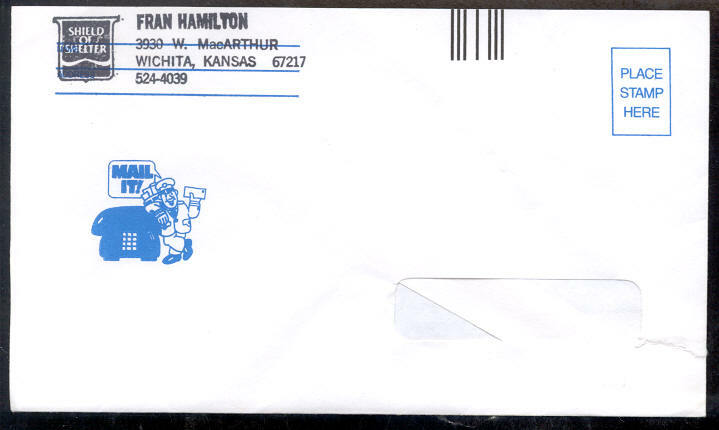 The stamps have a shiny gum. Below is a closer look at the booklet pane at 300 dpi showing more detail as well as the plate number A11. but here is one to a Michigan sweepstakes. 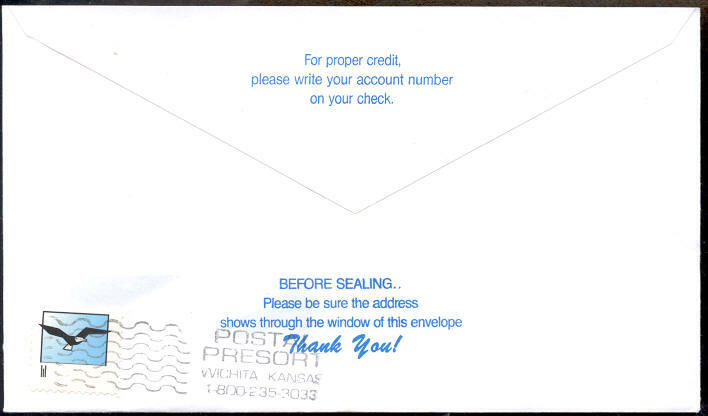 I have no information as to the cost to the user of the Postal Presort service nor do I know if the service was simply a private delivery service, a mail consolidator or some other combination of services. I would appreciate any information you might be able to share.